The music industry is gearing up for one of the most eagerly awaited events of the year – the Annual Grammy Awards. With hundreds of musicians, producers, songwriters, and so on, nominated for the 61st Grammys, there’s a lot of anticipation going on and we’re going to help you find your way so you can watch 2019 Grammy Awards Online. The first time the Grammys were awarded was back in 1959, which is quite a while ago. The awards recognize the best recordings in music, but also the best artists, composers, soundtracks, newcomers, and so on. The nomination list was announced back in December, so people are quite excited to see who wins, as each ceremony comes with loads of surprises. Kendrick Lamar has managed to gather eight nominations, while Drake has seven. Lady Gaga and Bradley Cooper, Cardi B, Janelle Monae, Dua Lipa, Bebe Rexha, Camila Cabello, Ariana Grande, Christina Aguilera, Backstreet Boys, Maroon 5, Justin Timberlake, Zedd, Kelly Clarkson, Ariana Grande, P!nk, Taylor Swift, Shawn Mendez, and Eminem are just a few of the artists that could win an award at the coming ceremony. The 61st Grammy Awards will take place on February 10th, 2019 returning to Los Angeles, after taking a break in 2018 when it was hosted in New York. The Staples Center is the exact location where the event is to take place. Although it was believed that James Corden would be hosting the 2019 Grammys again, for the third year in a row, it seems that won’t be the case due to previous work engagements for Corden. Instead, multi-Grammy winner Alicia Keys will be the one to host the event. American viewers can watch the event on CBS at 8 p.m. ET/5 p.m. PT. Since the network has had broadcasting rights since 1973, this isn’t exactly a big surprise. Aside from CBS, the rest of the world can watch via a few select channels: 4 Music (UK), Turner (Latin America), Foxtel (Australia), Danmark Radio (Denmark), FOX (Southeast Asia), Solar Entertainment Corporation (Philippines), Norwegian Broadcasting (Norway) and TVNZ (New Zealand). Access to 4 Music, for instance, is free, but they’re not broadcasting the event live, but a day after, while Foxtel in Australia will broadcast live (with a delay), but it’s only open to those who are subscribed to the channel. No matter what area of the world you live in, one thing is clear – there aren’t that many Grammy broadcasters. So, if you want to watch anything, you’re going to have to check in with the broadcasters from one of the countries that do have the rights. How can you do that? Well, it’s pretty simple – a VPN will help you out. Not only will the VPN help you reach countries you haven’t even visited, but it will also help those that are traveling reach back to their regular channels and bypassing the geoblock that’s usually in place. If you don’t already have a VPN, we strongly recommend ExpressVPN. We’ve been reviewing and testing VPNs for years, so we’ve gone through quite a few of those, but we always come back to this one. ExpressVPN comes with thousands of servers to connect to, tight security standards, privacy features, and more. So, let’s see how you can watch the Grammy Awards with the help of a VPN. The first you need to do is to go to ExpressVPN and subscribe to the service, download and install the app. Once the process is complete, power up the app and sign into your account. Then, go look for a server located in the country where the channel you want to connect to is in, like the USA for CBS, or the UK for 4 Music, and so on. Connect to the server and wait a few seconds. Once the connection is established, you’ll have been assigned a new IP address to match the location of the chosen server. Load up the channel’s site or the associated app and enjoy! Watching content online these days is what we all do – movies, documentaries, TV series, and so on. We also use the Internet for everything from connecting to friends to researching for work projects, from laughing at memes to watching viral videos. So, watching TV online only makes sense. Plus, compared to what traditional cable has to offer, you have a lot of freedom because all streaming services need is a compatible device and an Internet connection. That being said, let’s find out exactly what platforms will help you watch the Grammy Awards without cable. fubo ($54.99/mo), fubo Extra ($59.99/mo) + Family, Entertainment, and Ultra promo packs. First up on our list, we have fuboTV, which is a great platform, especially for sports lovers. There are four bundles you can pick from as you start off, and then you can add channel packs to grow the numbers or even premium networks. CBS is among the channel’s fans can find in fubo and fubo Extra when subscribing to fuboTV, so you can pick whichever one you like best to watch the Grammy Awards online. If you’re asking me, we recommend picking fubo Extra because it has a lot more channels and the price difference isn’t that big. In case you’re afraid you may miss the show or even the Red Carpet gala, you can go ahead and have fuboTV record it all for you. Subscribers can enjoy 30 hours of cloud DVR storage space, but they can also upgrade to 500 hours of space by paying $9.99 per month. The platform allows users to watch content on two devices at once, but adding a third is also possible if you’ll pay extra. We have a full fuboTV review ready if you want to know more. 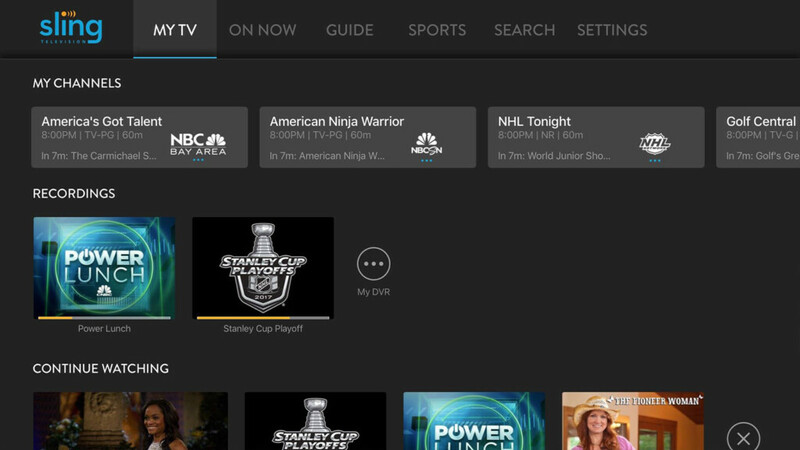 Sling TV is yet another awesome platform that has a lot to offer. You start off by picking one of three bundles and then building up with premium networks or packs with channels grouped by interests. So, when you subscribe to Sling TV, you should go ahead and pick the Orange + Blue Bundle. You won’t exactly find CBS in there, but if you prepay for two months, you will be able to enjoy a free digital antenna. This one will help you “catch” local channels of CBS, ABC, and other networks, and thus, get you access to the Grammy Awards. One thing Sling TV doesn’t offer is a free cloud DVR space. If you want to be able to record the content to watch later, you’ll have to pay $5 per month for 50 hours-worth of space. 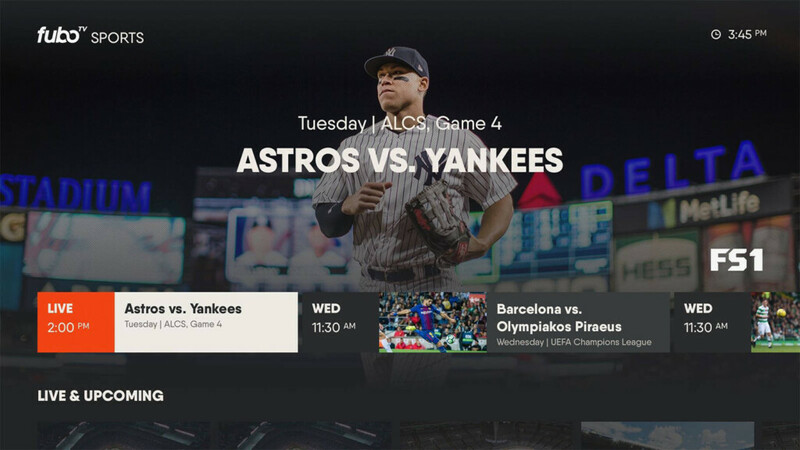 When it comes to simultaneous streams on Sling TV, you’re going to have to pick the right bundle for you. That’s because each bundle comes with a different number of streams. For instance, those who pick the Orange bundle can only watch TV on one device at a time, but those who pick the Blue one can watch on three devices at once. The Orange + Blue bundle comes with four simultaneous streams. Make sure you make the right choice but read our Sling TV review beforehand. Another great option for users who want to watch the Grammy Awards online (and more) is Hulu. While the platform is better known for the video on demand service it has been offering for years, it also has a plan full of cool channels you can watch. 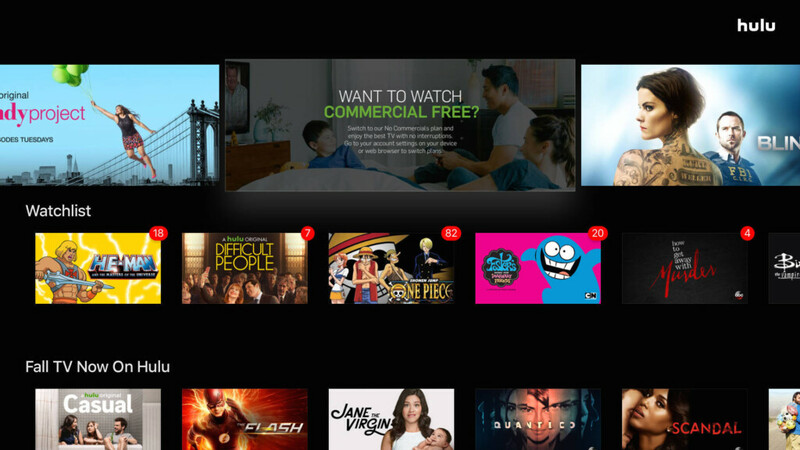 Hulu’s base channel bundle can be customized by adding a couple of channel packs or premium networks. There is only one bundle you can pick when subscribing to Hulu and this one includes access to CBS, along with many other networks we’re sure you’ll love. If you need to record the Grammy Awards or anything else, you should rest assured because the subscription price includes access to 50 hours-worth of cloud DVR space, so you can record it all. Plus, if you feel like you need more, you can lift the cap to 200 hours by paying $14.99 per month. Hulu subscribers can also watch content on two devices at once, but there’s this “Unlimited Screens” option you can get for $14.99 per month. With this one, you’ll lift the cap completely while on the home network, or up to three devices while away from home. We have a Hulu review you can check out if you want to get all the details. Another great option is getting YouTube TV – it’s simple and easy to use, plus it offers loads of perks. YouTube TV only offers one bundle of channels, featuring dozens of networks. Your only option to customize your plan is to add some premium networks. Among the many networks that are available when subscribing to YouTube TV, you can also find CBS, so watching the Grammy Awards online shouldn’t be an issue. 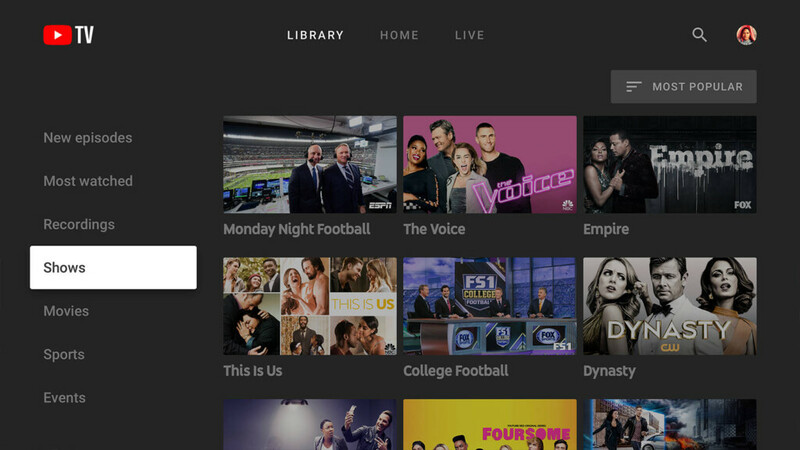 Users of YouTube TV get to enjoy unlimited cloud DVR space. The recordings are also kept for up to nine months, so you can go ahead and enjoy it all at your own pace. The platform also allows users to watch content on up to three devices at once, and there’s no way to expand this limit. Then again, it’s more than most platforms offer from the get-go. Read TechNadu’s review of YouTube TV for more details. DirecTV Now is a fabulous platform that offers loads of options for users who want to enjoy TV online. There are five bundles you can pick from, but you can also add extra channel packs and premium networks. For a while now, there have also been a few International bundles you can enjoy. 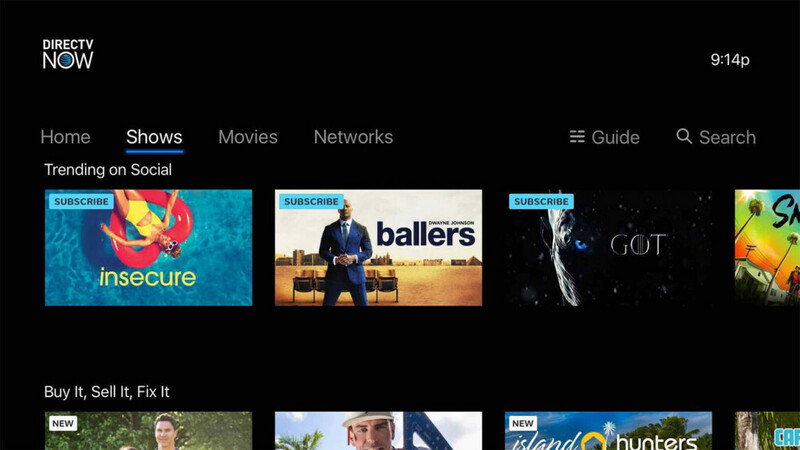 The CBS channel can be found in any of the five main bundles when you subscribe to DirecTV Now, so you can pick whichever one you like best either based on the channels available. We do recommend going for Go Big or Gotta Have It, since they’re the ones that have the most channels. DirecTV Now doesn’t come with the best cloud DVR offer because users can only record up to 20 hours worth of shows. Plus, the fact that there’s no way to upgrade makes things that much worse. The platform also supports two simultaneous streams, but you can add a third device for $5 per month. We have a DirecTV Now review with loads of info. Another option is to get PlayStation Vue, which is the platform that got the highest score among all live TV streaming services when we reviewed it. There are four base bundles you can pick from, but you may also add several extra channel packs or premium networks if you need more than what the bundles have to offer. The CBS channel is present in all four bundles, so you don’t have to worry about it at all. We recommend going for Elite or Ultra bundles when subscribing to PlayStation Vue because they have the most channels, plus, Ultra also has premium networks. PlayStation Vue users can record up to 500 programs to the cloud, which is quite an impressive number. The downside is the rather short expiration date set for these recordings. One of the best features this platform has, however, is the fact that you can watch content on five devices at the same time, without having to pay anything extra. Plus, since it’s something that we haven’t seen anywhere else it’s worth to mention that PlayStation Vue allows users to split the screen in three and watch different programs at the same time. 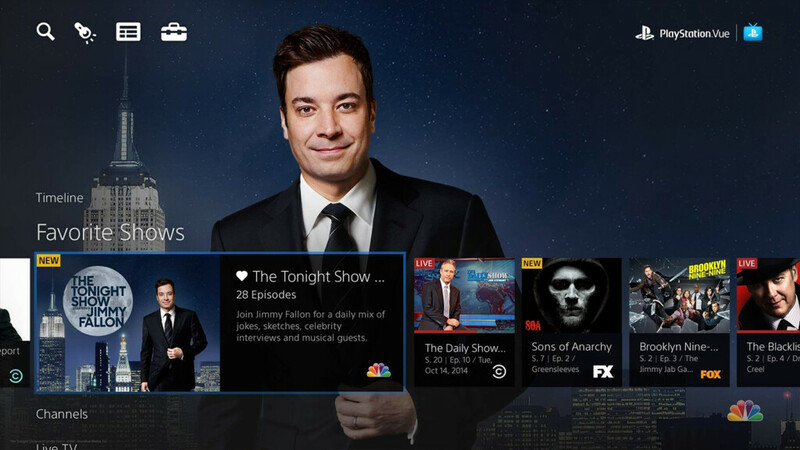 Make sure to read TechNadu’s PlayStation Vue review for more info. Another way to watch Grammy Awards is to get a CBS All Access subscription. The platform is clearly directed to fans of CBS shows, since it includes shows like Bull, Big Bang Theory, Hawaii Five- and so on, as well as movies, but the offering is pretty slim in this department. On top of these, however, you can also stream your local live broadcast, which means you also get to watch the 61st Grammy Awards. There are two options for you to subscribe to CBS All Access. Of course, this doesn’t apply for live feeds since those are included in the broadcast and there’s not much you can do about it. 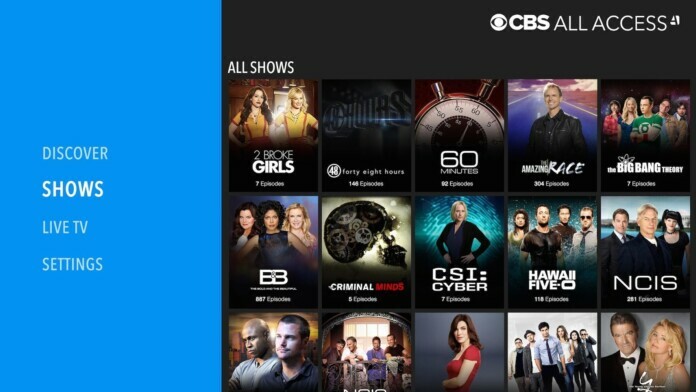 The CBS All Access app works on Apple TV, Android TV, Chromecast, Fire TV, Samsung Smart TVs, Roku, iOS and Android smartphones and tablets, PS4, and Xbox One. You can also watch online via your web browser. We have a CBS All Access review ready if you want to know more. Who Is Hosting the Grammy Awards? Since James Corden, who hosted the show for the past two years, couldn’t make it this year, there was a lot of insecurity about who would be the host. On January 15, Alicia Keys made it official and announced she was taking on the big job. Keys has been nominated for a Grammy Award 20 times over the years and managed to take 15 of those trophies home. Can I Stream the Grammys? You sure can. You can’t do it everywhere, but you can do it via a few of the platforms. CBS All Access will get you a live stream, and so will any of the streaming services that feature the channel – fuboTV, YouTube TV, Hulu, DirecTV Now, and PlayStation Vue. 4 Music also features an online stream, but you won’t see the show right away. The Grammy Awards will take place on February 10th at 8 p.m. ET/5 p.m. PT. That’s also February 11th at 1 AM in the UK, or 12:00 PM in Sydney, Australia. The Red Carpet special starts one hour and a half earlier if you want to check in for that too. A few performers have already been announced for the Grammy Awards this year and they’re bound to put on a real show – Camila Cabello, Cardi B, Brandi Carlile, Miley Cyrus, Dan and Shay, H.E.R., Shawn Mendes, Janelle Monáe, and Kacey Musgraves. The Red Hot Chilli Peppers have also announced they were teaming up with Post Malone for a great performance. Chances are pretty big that some unexpected guests will also be joining in and we’re almost certainly going to hear the beautiful Grammy host Alicia Keys. Who Has the Most Grammy Awards? The record for the most Grammy Awards goes to Georg Solti, a Hungarian-British conductor who spent over two decades conducting the Chicago Symphony Orchestra. He was nominated 74 times and won 31 of those awards, including a Lifetime Achievement Award. Alison Krauss and Quincy Jones tie with 27 awards each, followed by Pierre Boulez with 26 awards. More modern stars have also managed some impressive achievements. Stevie Wonder has 25 awards, U2 and Beyonce have 22 each, while Jay-Z and Kanye West both have 21 awards. The Grammy Awards are one of the most important music events of the year, giving recognition to artists for their hard work. Even though it may have lost some of its shine over the years, much like the Oscars have, it’s still one of those shows that capture everyone’s attention. We’d love to hear what platform you ended up picking to watch the Grammy Awards online, so leave us a note in the comments section below. Please share the article online if you can, and follow TechNadu on Facebook and Twitter for more tech news.